Waxing can be painful when the strip is removed from the skin. Don’t want to go through burns, ingrown hair, skin darkening or physical pain while getting rid of body hair? Shaving and depilatory creams only trim the hair without touching the roots. This can cause dryness and irritation to the skin. Summer is here and that may mean a little more grooming before heading to the beach. But the idea of hot wax treatment is painful. And razor burn is embarrassing and stings! Don’t worry - there may be another way. 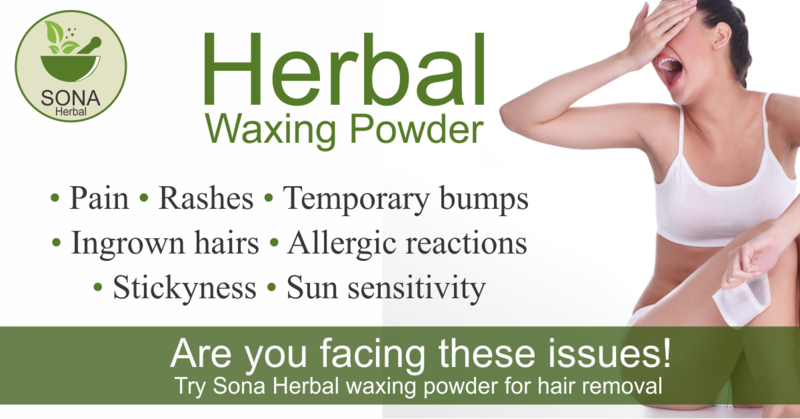 Have you heard of Sona Herbal powder. If you have sensitive skin, this may be perfect for you. 100% herbal powder.It has lemon peel which is great because it helps to fight the bacteria that could cause breakouts, deeply nourishing the skin with vitamin C It also acts as a natural exfoliator by removing dead skin cells that can clog your pores.